Well, it’s official – we can now proudly say that The Big Smoke is one of the largest entrepreneur hubs on the globe. Our startup scene is absolutely thriving (with over 2,000 startups calling Silicon Roundabout in East London home), we’ve got nearly 100 coworking spaces (including space at the seven-story Google Campus that’s open to both employees and the rest of us non-Googlers) and our community of movers, shakers, and entrepreneurs is growing by the day. There’s just no denying it – London is a destination for the world’s top entrepreneurs. And as the number of entrepreneurs on UK soil continues to grow, so are the number of events catered to the entrepreneurial community. These start-up events for entrepreneurs are a great way to network, find out what’s new in the world of tech, design, and creative, and learn innovative strategies to help them launch and grow their businesses. Marketing Week Live is a conference that “celebrates marketing that matters to you, the marketer, right now.” With breakout sessions that cover marketing from the basics (like influencer marketing and brand storytelling) through to the advanced (like artificial intelligence, chat bots, and dynamic segmentation), every level of marketer will have the opportunity to learn something new and advance their skill set. Sage Summit is THE place of digital transformation. Bring your business to the top following the best tech trends, learning from digital experts, and connecting with mentors and inspired entrepreneurs. Find the solutions and services that will bring your business to the next level and develop the skills to become a thoughtful leader. Business Rocks, which takes place in Manchester this May, is a unique conference that bridges the worlds of tech, music, and investment. Branding itself as a “new-age tech festival”, Business Rocks brings together entrepreneurs, brands, and the brightest minds in technology, music, and investment for a one-of-a-kind experience that encourages all to think outside of the box, challenge the status-quo and change the world of business. We are the only UK tech festival with DJ decks in the entrance hall and a dedicated live music stage on the festival floor. Because we are awesome! Additionally Day 2 is global Star Wars day #Maythe4thbewithyou – Don’t be surprised to see the odd Storm Trooper! Adobe Summit is one of Europe’s largest digital marketing conferences that brings together entrepreneurs and digital marketing executives for 2 days of learning and networking. This year’s conference, which is focused on creating consistent and engaging customer experiences across all mobile and digital platforms, will give entrepreneurs the opportunity to hear from some of the top global talent in the digital marketing space and learn new strategies to grow their businesses. For entrepreneurs interested in learning more about how technology is changing business (and the world in general), Thinking Digital is an opportunity to connect with tech innovators and hear stories about how tech is changing our future. The Business Show, now on it’s 37th run, is a conference and expo that brings together entrepreneurs and business leaders from a variety of industries to share advice, information, and strategies on all things business. And with 25,000 businesses in attendance, you’re bound to walk away with at least a few amazing ideas. And the best part? It’s completely free, so you have no excuse not to attend. This is Newcastle Startup Week’s inaugural run and it’s a welcome addition to the UK’s start-up event calendar. Over 5 days, the event is hosted in multiple venues across the city and includes some of the most inspirational speakers in the UK, including Brad Burton. Each day focuses on a different theme, from ‘Inspiration’ to ‘Funding & Finance’ with a 5-day ticket allowing you to dip in and out of the slots that interest you most. Newcastle Startup Week runs for the first time this year across 5 days. If you’re an entrepreneur and you’re all about those apps, you’ll definitely want to check out Apps World Evolution. This conference, which brings together entrepreneurs, developers, brands, and innovators, is focused on innovation in mobile marketing, app development, and user experience. Entrepreneurs will have the opportunity to learn from influential brands discussing marketing strategy, developers designing and building the mobile applications of the future, and pioneers exploring the chatbot opportunity. Apps World Evolution also provides the ideal opportunity for entrepreneurs to grow their connections through a variety of networking events. Entrepreneurs have the chance to attend the VIP networking lunches, source and contact decision makers with the Apps World Evolution App, or discuss ideas late in to the night at the Big After Party. In addition, our startup event Project Kairos will be running across TechXLR8 with sessions specially to help provide entrepreneurs with ideas and strategies to build a successful business. With a heavy startup influence, Investors from across the mobile verticals will be in attendance ready to discuss thoughts, tips, and potential invest in ideas. The Europas, which brings together “over 1,000 of Europe’s key movers and shakers in tech”, is both a conference and an awards ceremony. During the day, attendees will have the opportunity to hear from top tech talent, network with other tech talent and entrepreneurs, and engage in breakout groups to dig deeper into industry-specific topics. In the evening, the awards ceremony and party is in full swing, with brands, entrepreneurs, and teams from across Europe being honoured for their contributions to the tech space. The Europas 2017 takes place this June. The Lean Startup Summit is a conference based on the Lean Startup philosophy, first introduced by entrepreneur Eric Ries in his best-selling book “The Lean Startup”. The principles outlined in the book have been embraced by both the entrepreneurial and tech industries as the standard for introducing new products or services into the market. If you’re looking to launch something new in the near future (and who isn’t? ), this is the conference for you. Unlike some of the other conferences on this list, London Tech Week is comprised of over 300 live events taking place across the city. At London Tech Week, there’s a little something for everyone, whether you’re interested in meeting other entrepreneurs, learning about what’s new in the world of tech, or rubbing elbows with some of London Tech Week’s impressive sponsors (past sponsors include Google, Ford, and Stack Overflow). If you’re an entrepreneur with eclectic interests, you’ll definitely want to check out the DMWF Expo hitting London in June. With over 60 speakers covering everything from the cutting edge of virtual reality and artificial intelligence to what’s new in the world of data analysis and content marketing (and just about everything in between), you can gather a mish-mash of new strategies to try in your business in 2017. Social media entrepreneurs in the house! Or at least they will be at Social Media Week London. The event, which brings together the best of the best in social media brands and innovators, is a must for any entrepreneurs in the social space. Attendees will get the chance to hear from the best in the industry on new trends and best practices in the social space for 2017 and beyond. The Festival of Marketing is – you guessed it – a festival bringing together innovative marketers looking to make an impact on the industry in 2017. With various speakers, workshops, and networking events, this festival is shaping up to change the marketing game in the upcoming year, and any marketer worth their salt should plan on attending. The Festival of Marketing is a natural space for entrepreneurs. Whether they are attending to enhance their marketing knowledge or meet and network with marketers, the Festival of Marketing can offer them excellent access to information, people and an genuine good time. The entrepreneur can also find great value in the Festival’s unique speaker faculty. Our a-listers for 2016 included Apple founder Steve Wozniak, the world’s most powerful marketing services CEO Sir Martin Sorrell, Unilever CMO Keith Weed and controversial celebrity and business person Katie Price alongside marketing and business figureheads from brands like Arsenal FC, The Ladbible, Siemens, BP, Barclays, M&S, Uber, L’Oréal and many more. 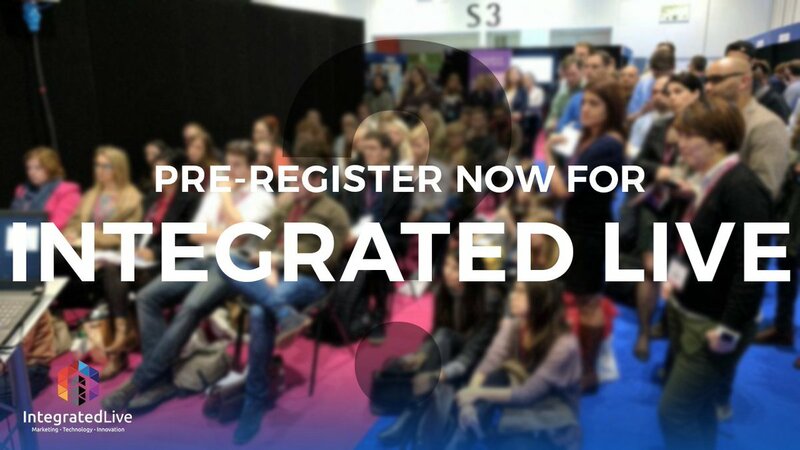 Integrated Live (formerly known as The Digital Marketing Show to those of you who have been around for awhile) is all about integrating the worlds of traditional and digital marketing to help entrepreneurs deliver their message and reach their goals. The conference will feature speakers on multiple marketing topics including experiential marketing, mobile and video, and content marketing, and how to integrate each medium into a successful marketing plan. If you’re an entrepreneur in the advertising and publishing space, you do not want to miss ad:tech London. 75% of the attendees at ad:tech London are either agencies or brand partners, which gives independent publishers the opportunity to connect with potential new clients. And with over 70 speakers, there’s also plenty of opportunity to learn about what’s moving and shaking in the world of advertising. It’s official: the UK is shaping up to be an entrepreneur’s dream homebase. And with this many amazing conferences on the horizon – and opportunities to grow your business – we just don’t see any reason to leave in 2017. Or really ever, if we think about. Laura heads up Brand Marketing for 99designs Europe. Having studied History of Art in the UK’s capital city, she is passionate about the visual arts, design and aesthetics. When she’s not championing the 99designs brand you’ll find her practicing yoga or taking snaps around the city of Berlin.